Companions Spay & Neuter Clinic is located at 589 Hwy 65N in Greenbrier (Springhill), AR. The clinic is open to the general public regardless of income or place of residence. Our spay/neuter programs are based on current funding and change regularly as funds are depleted. Please feel free to call the clinic Monday-Thursday from 7:30am-5pm for more information on our current financial aid programs at 501-679-7900. Spay/Neuter Voucher Program: If approved applicants will receive a voucher for one of the following: $50 off Dog Spay, $40 off Dog Neuter, $40 off Cat Spay, $20 off Cat Neuter. Please download, print and mail to address on application. One application per pet, maximum of 3 per household. 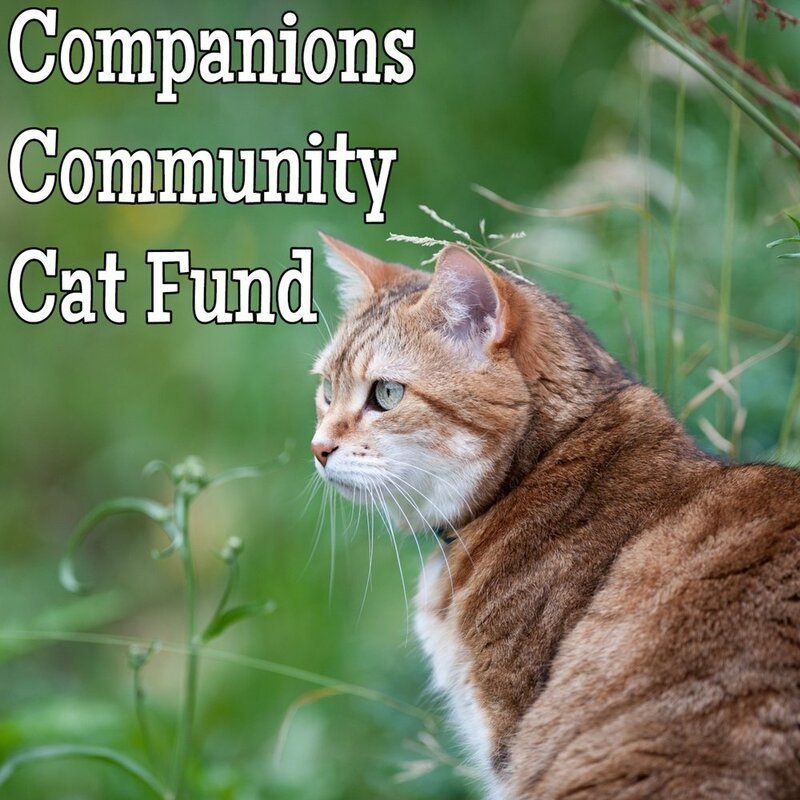 The Companions Community Cat Fund (CCCF) provides financial aid to spay/neuter, vaccinate and ear-tip, feral or friendly, community cats. The cost to you is *$25/cat. This fund is NOT for your typical house cat as ear-tipping (removal of the tip of the left ear) is mandatory for this program- No Exceptions. Please call 501-679-7900 for details or to schedule an appointment. *Funding is limited. The Sloan Swindle Spay/Neuter Fund created by the Humane Society of Faulkner County helps pet owners in need. If you are at or below poverty level, you may be eligible to receive $25.00 off the cost of spay/neuter. Eligibility for financial spay and neuter assistance is based on the needs of the individual/household. Grant assistance does not cover fees involving vaccinations, medications, or surgical complications. Must be 18 years or older to apply. If the application meets eligibility requirements, you will be contacted to schedule an appointment.